We are proud of the following companies' belief in El Dorado and Union County as a great place for business! 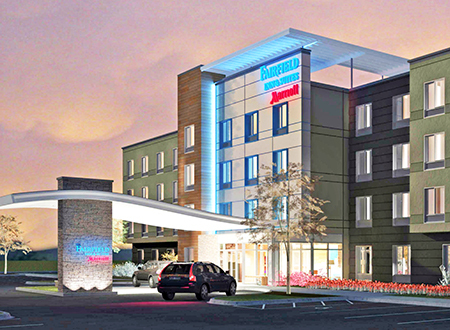 Fairfield Inn by Marriott is a line of hotels that are franchised by Marriott International. 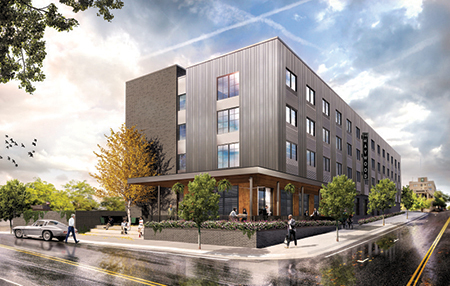 The 4.8-acre lot off of Northwest Avenue sits directly behind McDonalds will be the location of an 80-room Fairfield Inn by Marriott. The new hotel will be open in the first quarter of 2019. Visit their website at Fairfield Inn & Suites El Dorado. Pittsburgh/El Dorado – With the acquisition of U.S. company Chemtura effective April 21, specialty chemicals company LANXESS is also acquiring the production site in El Dorado, Arkansas, which currently employs approximately 430 company employees along with approximately 150 contract employees. Bromininated flame retardant additives, bromine and further bromine derivatives are produced there. 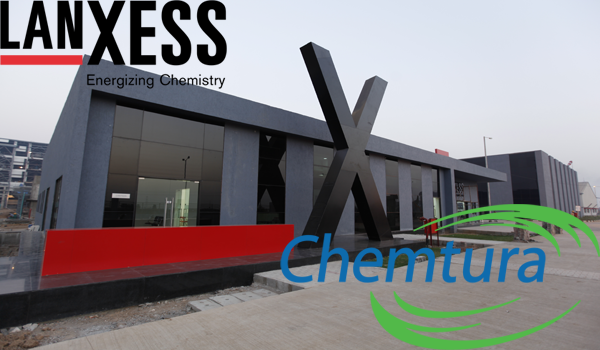 The acquisition of Chemtura makes LANXESS one of the world’s leading suppliers of flame retardant additives. Conifex Timber Inc., a Canada-based forestry and sawmilling company, will re-start a state-of-the-art sawmill complex, formerly owned by Georgia Pacific, in El Dorado, Arkansas. Primarily engaged in the manufacture of structural grade Spruce Pine Fir dimension lumber, the company plans to modernize the existing facility and create a state-of-the-art mill in El Dorado producing 180 million board feet initially. The company expects to create approximately 120 new, full-time jobs as a result of its approximate $80 million commitment to the facility. Canfor Corporation announces that it has entered into an agreement to purchase Anthony Forest Products Company located in El Dorado, Arkansas ("AFP") for a purchase price of $93.5 million US which includes approximately $15 million US of working capital. AFP operates 6 facilities producing lumber, engineered wood and wood chips with a combined capacity of 250 mmbf equivalent. AFP owns a sawmill located in Urbana, Arkansas which produces premium Southern pine lumber and has an operational capacity of 150 mmbf per year. 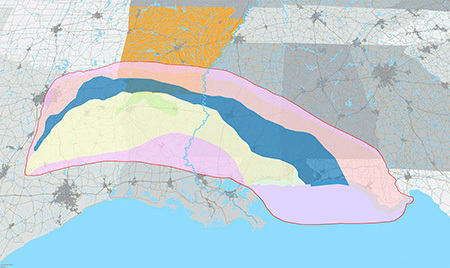 It also owns laminating facilities in El Dorado, Arkansas and Washington, Georgia, which produce beams, columns and other glulam products with an annual combined capacity of 75 mmbf, and owns chip mills in Louisiana and Texas with a total annual capacity of 800,000 tons. AFP also owns a 50% interest in Anthony EACOM Inc. a joint venture with EACOM Timber Corporation, located in Sault Ste. Marie, Ontario which manufactures I- joists, with an annual capacity of 54 million lineal feet. 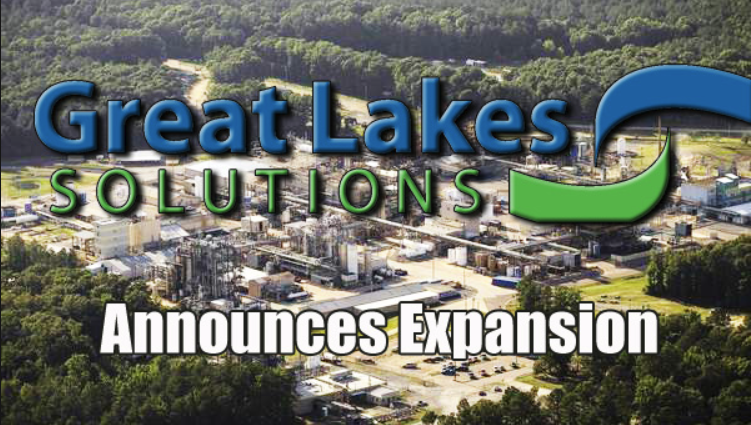 Great Lakes Solutions, a Chemtura business, is pleased to announce plans to begin construction of a pilot plant facility at their existing South Plant manufacturing site in El Dorado, Arkansas. An approximately $5 million investment, the new pilot plant is part of Chemtura’s ongoing commitment to innovation and new product development. It is designed to serve as a scale-up and test facility within the global technology group and will be a bridge between traditional laboratory experimentation and full-scale commercial production. 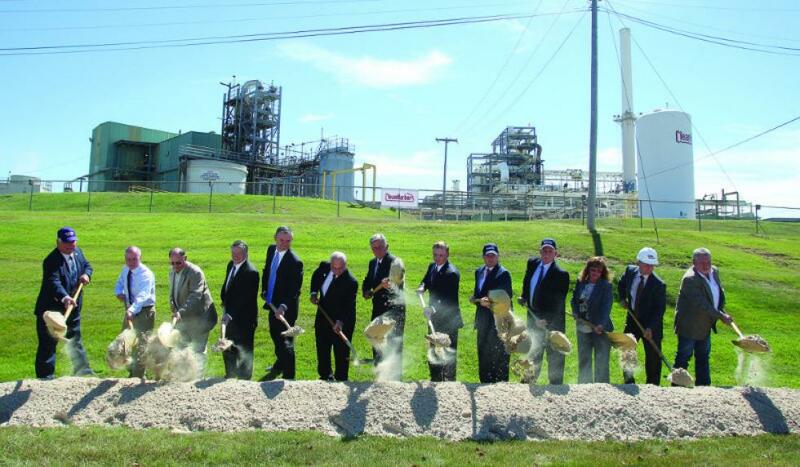 The new pilot plant will be utilized not only by Great Lakes Solutions, but also by other Chemtura businesses. The pilot plant will be a modern, newly constructed, state-of-the-art, flexible facility that will occupy a footprint of approximately 11,000 square feet. Included in this footprint will be space for operating bays, a laboratory, and associated equipment. The new facility will employ 10 people total, with six of those positions being new to the El Dorado Great Lakes Solutions sites. Construction is scheduled to be completed by the end of the third quarter of 2016. The first test project could begin as early as October. El Dorado Festivals & Events - $80 million Arts & Entertainment District planned in the southern end of the city’s downtown core. 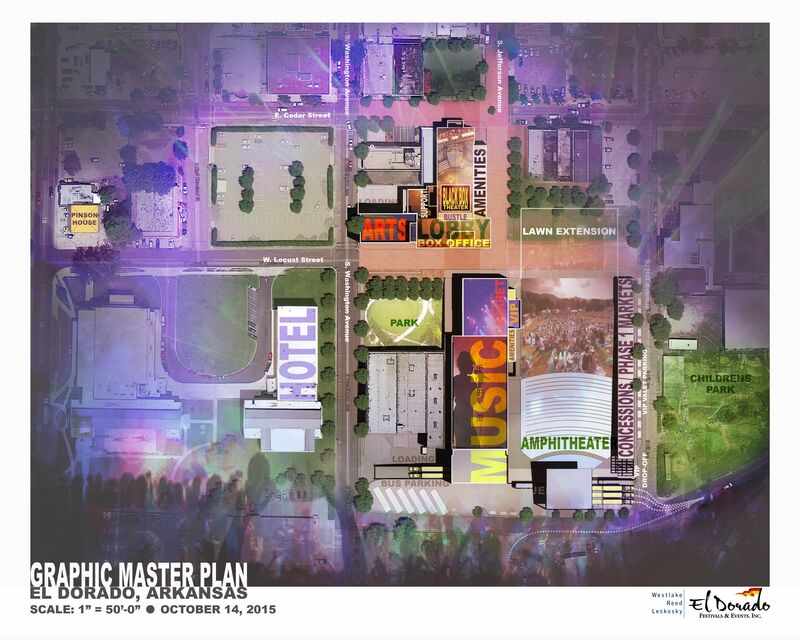 Imagine a tiny burg in southern Arkansas with a nationally recognized, dynamic and diverse entertainment center. 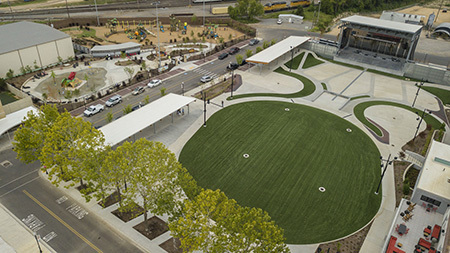 Envision a creative environment that is fostered by secondary schools, higher education, business developers, city government, and the local arts community. A city united behind a single purpose to enrich our region with quality performing and visual arts experiences, world-class food service, and destination children’s activities that engage our community and incent a steady flow of tourists from across the region. ASI began production of its UltraLime™ high performance Lime slurry at its Arkansas production facility. This is the 4th lime slurry production facility for Applied Specialties and the 3rd in the United States. The 4th plant started producing slurry in the UK in December 2014. The Arkansas location is part of a 24 acre combined water treatment chemicals production facility for Applied Specialties. The new Lime slurry production facility will permit Applied Specialties to satisfy its various water treatment clients with increased logistical support while providing greater access for clients to take advantage of the improved performance and cost benefits of using UltraLime. El Dorado Chemical Company - $600 million expansion project with the creation of 60 permanent jobs. Clean Harbors Environmental - $120 million expansion project with the creation of 120 permanent jobs. 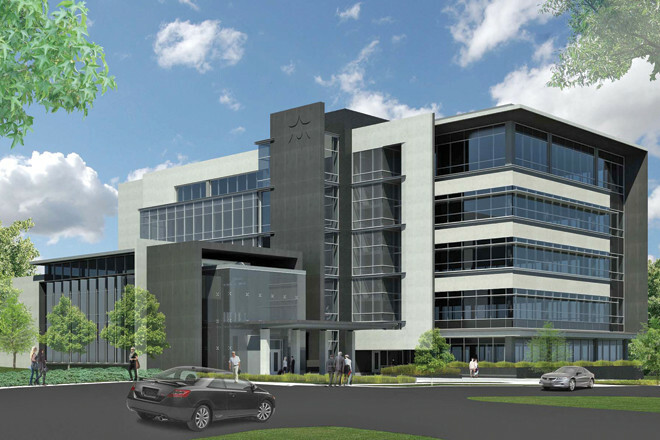 Murphy Oil Corporation - $30 million new headquarters expansion at the corner of Peach and Jackson Street in downtown El Dorado, Arkansas.